I don’t do politics. I hate political discussions. This essay exists due to the requirements of my university course. This essay exists with no intent to convey my personal feelings or views on any set matter. The content of this essay is intended to be purely analytical, any seeming opinion is added and exaggerated for comedic effect. Fascism and Communism are both words thrown widely around in the ever devolving state of the current political climate. Despite the current shouting-match style of political debate, it is worth noting that both Communism and Fascism are entirely ineffective governmental systems and both lead to the deaths of millions upon millions of people. But let's start with a basic description of both of these man-killing-machines of state. Fascism is described by the oxford English dictionary as "An authoritarian and nationalistic right-wing system of government and social organisation." Fascism has been observed in the wild, as it were, in a number of vary infamous nation states, most notably the German NAZI party. Nazi's huh? well i think we all know just how well that ended. Alright... well if Fascism is an all evil Nazi-forming Holocaust-causing political disease, then what's this Communism stuff about? Communism is described by the oxford English dictionary as "A theory or system of social organisation in which all property is owned by the community and each person contributes and receives according to their ability and needs." Well that sounds all nice and cosy, but Communism has never been properly implemented. It leaves a power vacuum that someone will eventually fill, and when they do, usually by never leaving it in the first place, it all goes to heck in a hand-basket. We've all heard of the holocaust, all 13 million dead souls, but have you heard of the Communist Party of China? Well they’re currently sitting at just shy of 5 times as many bodies as Hitler at a whopping 73 million. And that figure ignores communism’s second biggest killer, the USSR sitting pretty at 58 million bodies over their nearly 70 years. All of this has lead me to the obvious conclusion that Communism, and Fascism alike are both dangerous regimes that end with suffering of the common people and in many cases, a lot of deaths. Is there more to either side? well of course, it’s an intricate and complicated topic that spawns endless arguments for and against Communism or Fascism. It’s a very Pick-your-poison type situation at times. There is however, a very convenient metric that we can use to compare the difference between the death tolls of Communism and Fascism, something i am hereby dubbing the “four year test”. This is simply, comparing the death toll of a political system’s worst murderer over their worst 4 year period. So let’s take a look shall we? Fascism’s worst offender was, by far, Adolf Hitler. A man known for his merciless slaughter of millions of people during the second world war. But those people weren’t combatants, and many of them weren’t even from the nations he conquered. No, Hitler’s villainy started at home, in Germany. By rounding up those he disagreed with, including Jews, Homosexuals and Handicapped people, Adolf Hitler set up a series of internment camps, that were quickly changed to death camps. Over the four years of World War II, Adolf hitler’s camps processed nearly 13 million dead bodies. No discussion of Communist slaughter ever manages to quite avoid the elephant in the room: Chairman Mao Zedong. A man known primarily for his wholesale starvation of millions of Chinese citizens. Those living under his dictatorial regime soon found themselves starved for food, over worked and regularly beaten by the authorities. So many people, in fact, were killed under Mao’s regime that he managed to ensure the deaths of 45 million people, making him the single largest mass murderer in history. 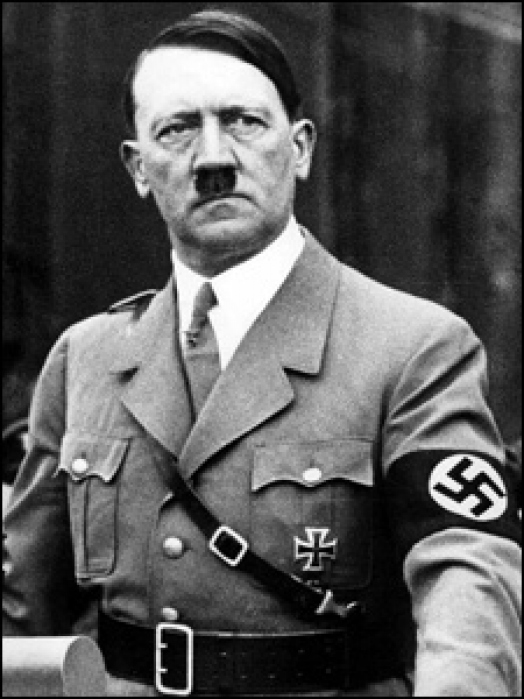 And not just was this man responsible for so many death, but he did it in just 4 short years. There’s an interesting distinction however, between Chairman Mao Zedong and Adolf Hitler: Hitler was trying to kill people. He purposely executed 13 million people, but Chairman Mao? Mao wasn’t even trying. He saw the deaths of 45 million people because he was trying to stimulate the economy of china. Honestly if that’s not scary, then i don’t know what is. The world isn’t black and white. And it’s those shades of grey in the middle that make all the difference in the world.